“Where are the keys? !” – few are those who have never asked themselves this questions in total amusement. Sometimes keys may get forgotten elsewhere, but in many cases they get lost and even stolen for real. If you think that your house or office is not protected well from potential intruders – it’s better to let a professional locksmith take care of your security issue, as soon as possible. 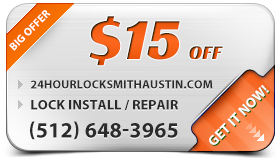 Austin TX Locksmith 24 Hour provides AM/PM home locksmith services in Austin. Our technicians are available 24 hours a day and they cover the entire metro area. From a fast lockout to the most advanced high end lock replacement – we will do everything for your house, whenever our assistance is needed. Call us today at (512) 648-3965 and get the service you need provided by the best local professionals! Whenever you book an appointment with our technician, you can rest assured that your security is in the hands of the most professional specialists in the whole metro area. We employ only licensed and bonded locksmiths, who know how to handle any possible problem on the spot. Our locksmiths are used to working under pressure. They use the newest cutting edge technological devices and working techniques. If you need a new lock or a new key provided, you can rest assured that it will be of the highest quality and you will get it for the best price to be found in Austin. If addition, our services are provided with a 90-day guarantee, which means that your new key or your new lock is guaranteed to work properly. 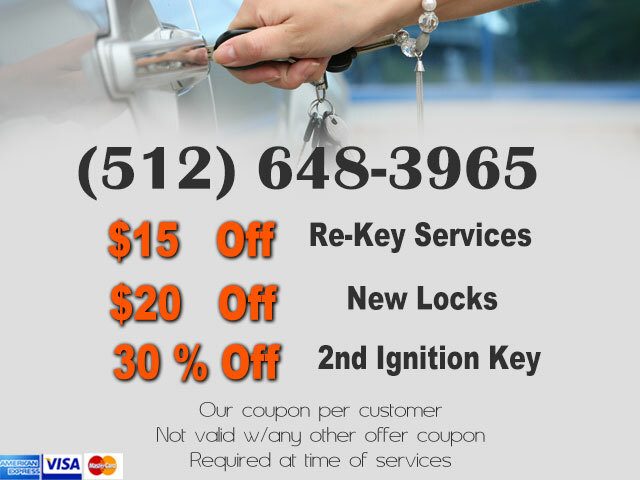 Take advantage of our professional approach and topnotch services and call us today at (512) 648-3965 for the best locksmith service you will find in the Austin metro area!